Recently I went to my family physician for an annual physical. Though visiting the doctor is not high on my list of things I love to do, I have learned to appreciate this annual exercise, mainly because of the approach my physician takes. He is always very thorough in his examination of my core health indicators, he teaches me something I didn’t know during each exam, and I always leave encouraged. I am struck by the similarities between a bodily physical and a faith physical. Each needs to happen regularly to detect problems before they become more serious, and each should include an examination, equipping, and encouragement. 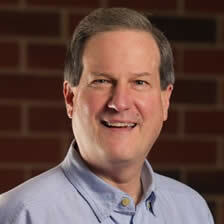 Likewise, there are corresponding similarities between a family physician and a faith physician. Most of us have a physician who tends over our physical health, but few of us have a physician who personally examines and nurtures our spiritual health. Yet, a faith physician can be as vital to our spiritual health as our family physician is to our physical health. What Is A Faith Physician? In 1 Thessalonians we see Paul and Timothy serving as faith physicians to the church of the Thessalonians. Unable to travel to Thessalonica to check in on these young converts he had brought to faith, Paul sent his trusted brother and co-worker, Timothy. His assignment? To check on the Thessalonians faith. Their faith was of supreme importance in Paul’s mind, evidenced by five references to their faith in chapter 3. Paul was well aware of the persecutions the Thessalonians faced, and the dangers these afflictions posed to their spiritual health. Paul wanted their faith to be a shield to defend them against all the fiery darts of the evil one (Ephesians 6:16). Concerned these afflictions would cause them to stumble, Paul sent Timothy to conduct a faith physical. What Is A Faith Physical? The end design of why Paul sent Timothy to the Thessalonians is found in verses 2 and 5 of Chapter 3. To strengthen and encourage the Thessalonians in their faith, and to find out how their faith was holding up. Paul appears to be referencing a broad definition of faith, one that included belief of, trust in, reliance on, and commitment to following the person of Jesus Christ. In biblical vernacular, faith is the expression of a living and growing personal relationship with God through Christ. This faith check-up included examination, equipping, and encouragement. Examination: “I sent to find out about your faith” Paul was anxious to know the spiritual condition of the Thessalonians. Equipping: “…….that we may see you again and supply what is lacking in your faith.” Paul knew there were still matters of doctrine, understanding, and belief that needed to be perfected in these young converts. The themes of chapters 4 and 5 deal with these deficiencies. Encouragement: “We sent Timothy…….to strengthen and encourage you in your faith.” Paul was aware of the persecution and sufferings of the Thessalonians and knew it was vital to send Timothy to encourage and comfort them in the midst of their trials and tribulations. Paul’s concern for his converts did not focus on how much the offerings were or the number in attendance, but rather on their spiritual quality of life. This was the ultimate end of the faith physical he sent Timothy to conduct. How can we share the same level of concern and focus on the faith and spiritual health of those God entrusts to us to shepherd? How Can We Serve As Faith Physicians? Using Paul’s model, below are some practical ways you can serve as a faith physician and strengthen the hand and know the spiritual condition of those in your charge. Assessments – Tools such as, Loving Union And Communion With God Assessment, can help evaluate whether or not we are growing in our faith walk. 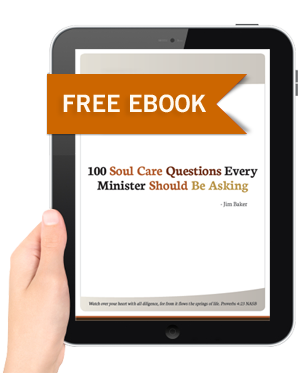 Asking Questions – Thoughtful and powerful questions can provoke us to a deeper spirituality, such as those found in 100 Soul Care Questions For Ministers. Accountability – Regular check-ups with an accountability partner or group is a proven means for keeping our inner and outer spiritual life in check. Resources – Courses, conferences, sermons, retreats, programs, and experiences that are designed for our spiritual growth. Readings – Books, websites, journals, and articles that inspire, teach, and feed our souls. Relationships – Spiritual mentors, coaches, and directors to guide and partner with us on our spiritual journey. Prayer – Having someone like Paul who partners with us in prayer for our faith. Presence – Having someone who has the ministry of presence in our lives, who is there during good and bad times, during times of success as well as failure, who can comfort us and keep us steadfast in our faith. Praise – Timely words, calls, cards, and letters can encourage us to be faithful in our pursuit of godliness. Examination, equipping, and encouragement of faith was a common ministry concern and practice of Paul’s. As ministers of the same Gospel should it not be ours as well? As I reflected on his response I couldn’t help but see the parallels with those of us called to ministry. How tempting it is to think that because we are trained for ministry and serve in positions of spiritual leadership that we don’t need to put into place those disciplines, practices, habits, and people that continually monitor our spiritual life, nurture our souls, and hold us accountable. The forming of our souls, tending our inner spiritual life, and staying connected to the Great Physician is the primary work of the Christian leader. Without this priority, one virtually guarantees they will not care well for themselves or others, or survive a lifetime in church leadership, and if they do, the work they accomplish is not reflective of God’s power or purposes.